Psycho Solo Diver – Online Diving Blog and more!Above The Water | Psycho Solo Diver - Online Diving Blog and more! 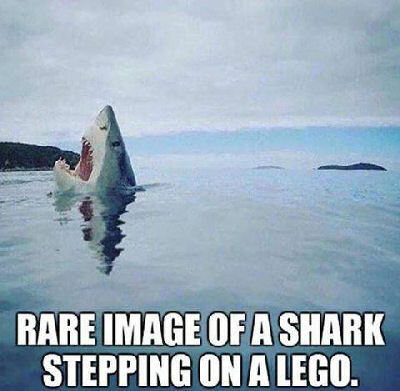 You are currently browsing the archives for the Above The Water category. 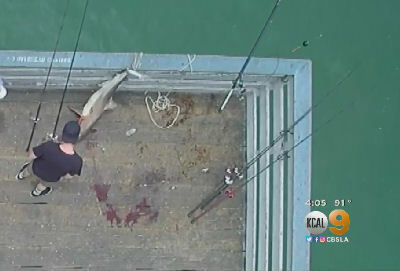 For some unknown reason, the month of May has brought many Great White sharks to the waters of Southern California. Great White sharks have been spotted as far North as San Francisco to as far South as San Diego. The Coast Guard and Lifeguards apparently use helicopters and drones to spot sharks and decide if they will close the beach to swimmers. Small sharks, those under ten feet, tend to feed on small fish while the larger ones eat seals, sea lions and surfers; those factors weigh in on whether the beaches will be closed. I’m surprised that our news hasn’t blamed ISIS or Al Qaeda for the shark infestation. 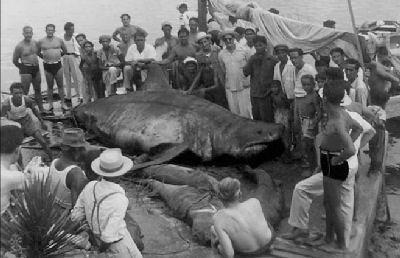 Fishermen pose with a Great White Shark in Cuba circa 1940. The beaches of San Clemente seem to have gotten the most shark sightings; in April, a ten foot great white shark injured a woman at San Onofre State Beach, south of San Clemente. I’m about to get back into the water myself, after an unwelcomed break of six months. I will soon officially announce my next SCUBA diving vacation – if you thought Albania was an adventure, this one should top it by far. The trip organizer had some concerns about my diving experience; for some reason they only recognize PADI as a SCUBA certification. I’m getting a PADI specialty card so I can officially be a “PADI” diver, which should be considered, “at least a PADI Open Water” certification. There’s no cross over classes from NAUI Advanced to PADI Advanced, and I really didn’t want to take a PADI Open Water class after I’ve been diving 15 year with more than 500 SCUBA dives.